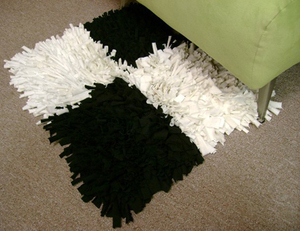 this shaggy rug is made from recycled t-shirts. very cool. available on my my for $48.